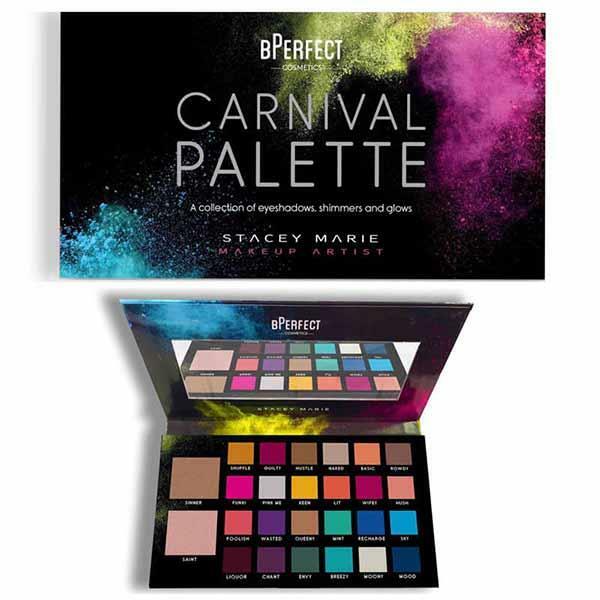 Bperfect Carnival Palette is a beautiful brightly coloured highly pigmented palette. Created by one of the UK's leading makeup artists Stacey Marie it is the ultimate eyeshadow palette with all your colours and shimmers. This must have palette contains 17 vibrant matte eyeshadows, 7 high pigment shimmers, 2 highlighters and a mirror. Everything you need to create your own vibrant look.